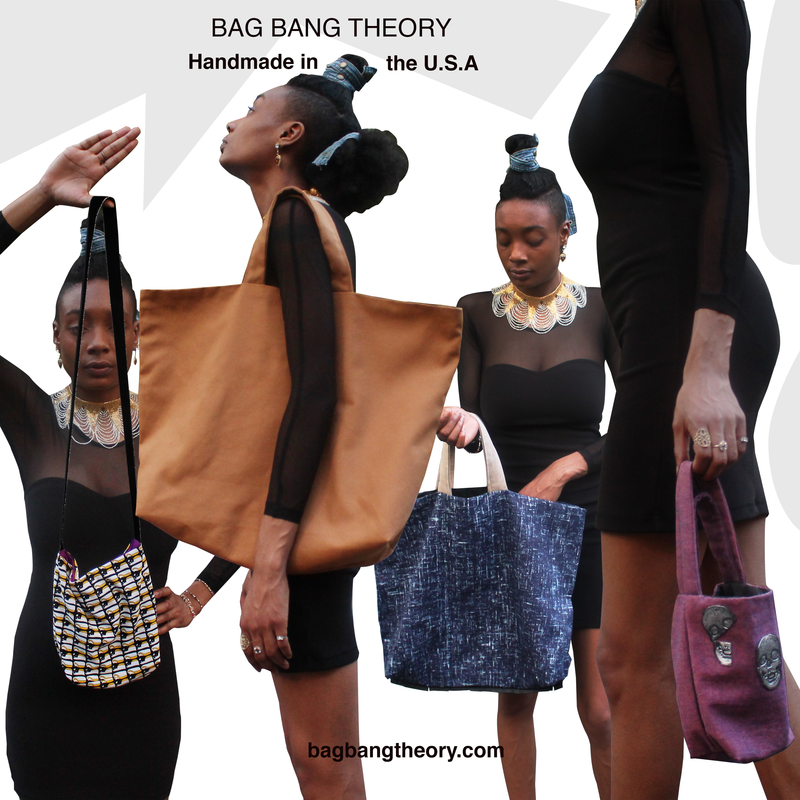 Bag Bang Theory’s Summer/Fall 2017 collection of bags are comfortable, colorful and geometrical. This collection of handbags consist of mostly natural fibers which can be sourced from fabric establishments around NYC. The Summer/Fall 17 collection is artfully designed and handmade by Jazmin India in Brooklyn, New York City. The Lisa Bag (far left) is currently on sale while in stock. We are proud to have our Emerald Utopia bag with it’s lovely new owner in South Africa! Follow our website for our Fall/Winter Look Book and get updates on new handmade productions and sales/discounts. We hope your summer was a bag of fun, see you in the Fall!